Events in the year 1979 in Greece. The President of the Hellenic Republic, colloquially referred to in English as the President of Greece, is the head of state of Greece. The President is elected by the Hellenic Parliament, and his role is mostly ceremonial since the 1986 constitutional reform. The office was formally established by the Constitution of Greece in 1975, but has antecedents in the Second Hellenic Republic of 1924–1935 and the republic established by the Greek military junta in 1973–1974. The incumbent, since 2015, is Prokopis Pavlopoulos, serving his first term in office. Konstantinos D. Tsatsos was a revered Greek diplomat, professor of law, scholar and politician. He served as the second President of the Third Hellenic Republic from 1975 to 1980. The Prime Minister of the Hellenic Republic, colloquially referred to as the Prime Minister of Greece, is the head of government of the Hellenic Republic and the leader of the Greek cabinet. The incumbent prime minister is Alexis Tsipras, who took office on 21 September 2015. Hetaira, also hetaera, was a type of prostitute in ancient Greece. Antonios Kriezis was a Greek captain of the Hellenic navy during the Greek War of Independence and a Prime Minister of Greece from 1849 to 1854. Kriezis was born in Troezen in 1796 to a Arvanite family. Literally translated from Albanian, his surname means "black head". Kryeziu is also the name of an important clan in North Albania and Kosovo. The First National Assembly of Epidaurus was the first meeting of the Greek National Assembly, a national representative political gathering of the Greek revolutionaries. 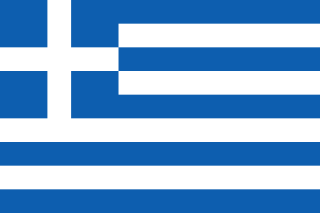 Greece competed at the 1928 Summer Olympics in Amsterdam, Netherlands. Greek athletes have competed in every Summer Olympic Games. 23 competitors, all men, took part in 26 events in 4 sports. Greece competed at the 1936 Summer Olympics in Berlin, Germany. 41 competitors, 40 men and 1 woman, took part in 34 events in 7 sports. Greek athletes have competed in every Summer Olympic Games. Greece competed at the 1948 Summer Olympics in London, England. Greek athletes have competed in every Summer Olympic Games. 61 competitors, 60 men and 1 woman, took part in 44 events in 10 sports. Konstantinos Kollias was a Greek Attorney General who was proclaimed Prime Minister by the Greek military junta of 1967–74 that overthrew Panagiotis Kanellopoulos' government on 21 April 1967. Third Hellenic Republic is the period in modern Greek history that stretches from 1974, with the fall of Greek military junta and the final abolition of the Greek monarchy, to the present day. Konstantinos Economidis is a professional Greek tennis player and a former Greek No. 1. In 2007, he qualified for the French Open and defeated Australian Chris Guccione in the first round before losing to Tommy Robredo in the second round. He achieved his career-high singles ranking of world No. 112 in February 2007 and has won 5 Challenger titles. Konstantinos Demertzis was a Greek politician. He was the 49th Prime Minister of Greece from November 1935 to April 1936. Demertzis died during his mandate, of a heart attack, on April 13, 1936. The Deputy Prime Minister of Greece is the second senior-most member of the Greek Cabinet. Despite the English translation of the title, he does not actually deputize for the Prime Minister, rather it is a mostly honorific post for senior ministers, and is usually combined with another senior government portfolio or a coordinating role over several ministries. The post is not permanent, rather it is created on an ad hoc basis, usually for the leaders of junior parties in coalition cabinets, and may be held by more than one person at once. The Fourth National Assembly at Argos was a Greek convention which sat at Argos from 11 July to 6 August 1829, during the Greek War of Independence. Greece competed at the 2015 World Aquatics Championships in Kazan, Russia from 24 July to 9 August 2015. Callinicus II was Ecumenical Patriarch of Constantinople for three terms. Nikolaos Kasomoulis was a participant in the Greek Revolution of 1821, and one of the main historical sources about it. Events in the year 1980 in Greece. Events in the year 1998 in Greece. Events in the year 2000 in Greece. Konstantinos "Dinos" Mavropanos is a Greek professional footballer who plays as a centre back for Premier League club Arsenal and for the Greece national under-21 football team. Wikimedia Commons has media related to 1979 in Greece .